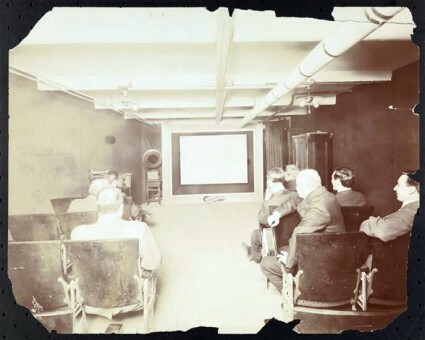 Scholarly works in the silent cinema field – indeed in most fields – don’t last long. They catch the latest academic wave for a time, surf along for a while, then sink beneath the waves as the next key text comes along. For a while it is important to cite them in your own work; then it ceases to be a necessity; finally it becomes an embarassment. You are writing an essay in 2010 and you are citing a book published in 1985? Think again. But then just a handful of books break through academic fashion and turn out to have lasting value. You have always to refer back to them, because they are one of the signposts. They point the way. 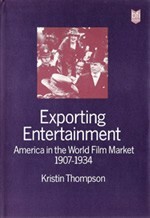 In the silent (and early sound) cinema field, one such book is Kristin Thompson’s Exporting Entertainment: America in the World Film Market 1907-1934, published in 1985 and a book that I have referred back to time and time again ever since, and one which has had a strong influence on our corner of film studies. In part that influence is due to the unusual nature of its theme. Its subject is mechanics of the early Hollywood film industry and how it gained world dominance from the First World War inwards. But it is not so much the thesis as the method, as Thompson looks at such previously overlooked data as import and export records, industrial data and market reports – data which had scarcely been considered the stuff of film history before then, but which turned out to be essential in understanding the intracacies of production, distribution and exhibition on a worldwide scale. 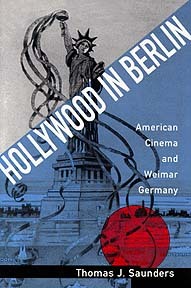 The information could then underpin an understanding of why, as the book’s blurb puts it, “Hollywood has become practically synonymous with cinema”. Exporting Entertainment has inspired other works, notably Ruth Vasey’s The World According to Hollywood: 1918–1939 (1997) and Andrew Higson and Richard Maltby’s Film Europe and Film America: Cinema, Commerce and Cultural Exchange, 1920–39 (1999). It was also pioneering in its emphasis on empirical data, a trend which has been picked up in recent years by exhibition studies. 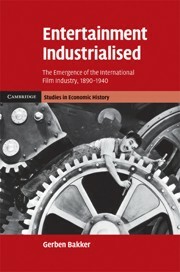 Some of its arguments may have been superseded by economist Gerben Bakker’s recent Entertainment Industrialised: The Emergence of the International Film Industry, 1890-1940 (discussed in detail in an earlier post), but those steeped in film history will find Thompson’s book easier to navigate, even if it is not a light read that you are going to polish off in one sitting. But it should be read, because it sees the industry not through the starry eyes of the fan journals of the period but through the hard-bitten minds of the trade papers, who saw things in so many pounds or dollars per foot of film. The detail is amazing (as is the research behind it), and you really do see cinema on a global scale (Panama, Peru, Siam, the Malay States, Romania and Estonia all end up in the subject index). The book makes you recognise why national cinema is such a suspect way of going about investigating film history when the business was so deeply bound up by the ebbs and flows of a world market. The reasons for all this now is to announce the happy news that Exporting Entertainment is now freely available online from David Bordwell and Kristin Thompson’s website. 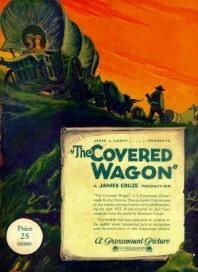 As Thompson explains in her useful introduction on the book’s web page, the book has been long out of print and was never distributed in the United States (it was published by the BFI). 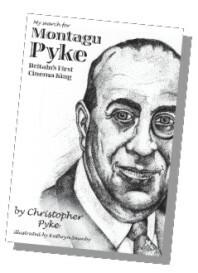 The book has been made available in PDF form, though be warned that it is a simple scanning job and consequently the file size is large (87MB) and there is no underlying OCR so the text is not word-searchable. This is a shame, and one wonders whether Thompson might take advice from those who regularly produce e-books and re-issue the text in word-searchable format. It would certainly open up the text anew for researchers. But setting that petty point aside, this is a very welcome means of re-introducing an important but rare text to the research community, and it has gone into the Bioscope Library. The real voyage of discovery consists not of finding new lands, but of seeing the territory with new eyes. A bold claim indeed for any book seeking to make its mark in a territory so exhaustively documented (or so it would seem) as film history. Of course, read the blurb of almost any new film monograph and it will confidently tell you that what lies within is certain to set a new standard for the field or to overturn preconceptions. Open those books and one tends to find exactly as one has found before in countless other monographs, with just a few of the arguments rearranged for novelty’s sake. Open Entertainment Industrialised on any page, and the sense of real discovery is instant. This is history with new eyes. Gerben Bakker is based at the London School of Economics. His studies into the rise of the international film industry have been exciting a small number of us in the past few years, but they have not made much of a crossover as yet to the wider world of film history. The publication of this magnum opus ought to change things, though it has been issued as part of the Cambridge Studies in Economics History strand (at a hefty price), and is aimed primarily at economics historians. Though some of the language is specialist, the general tone will be clear to all, and the writing is lucid and inviting. It is a book that demands to be read. 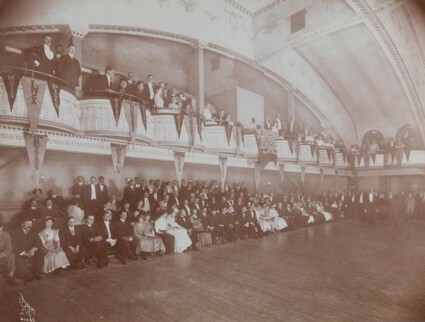 When Charlie Chaplin was nineteen years old he appeared in three music halls a night. On one fine day he started in the late afternoon at the half-empty Streatham Empire in London. 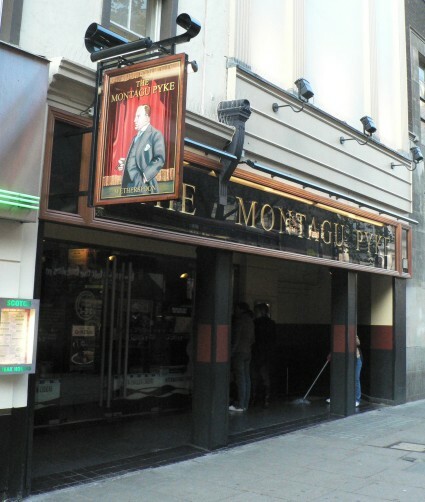 Directly after the show he and his company were rushed by private bus to the Canterbury Music Hall and then on to the Tivoli. This constituted the maximum number of venues an entertainer could visit on an evening, and thus the inherent limit to a performer’s productivity. Yet, barely five years had passed before Chaplin would appear in thousands of venues across the world at the same time. His productivity had increased almost unimaginably. Most of this efficiency jump translated into lower prices, far lower than prices for music hall. Chaplin himself, therefore, was able to capture only a small percentage of revenues. Yet this tiny cut made him the world’s highest-paid performer. There is the matter in a nutshell. The modern technologies that went with what the author calls the second industrial revolution (bringing with it the almost universal adoption of electricity, synthetic chemicals and the combustion engine) led to a huge leap in productivity. We are now in a world where we expect, without thinking, to have instant access to entertainments from around the world, at any time, wherever we might be located, cheaply or freely, and across multiple platforms. How did we get here? That is what Bakker sets out to describe, not by anecdote or easy assumption, but by thorough powerful analysis of the economic evidence using models established by business history. His method is common to other kinds of economic enquiry, one based on understanding of essential principles tested against factual evidence which can be gleaned from contemporary studies or deduced by subsequent analysis. 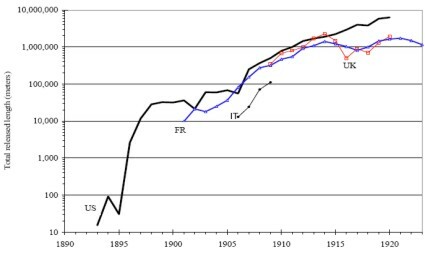 It is a book full of graphs and tables with titles such as ‘Total released film negative length and cinema seats, US, Britain, France and Italy, in metres, 1893-1922’, ‘Management as percentage of all non-creatives in the French entertainment industry, 1901-1936’, ‘Prices, capacity, sales potential, price elasticity and consumer surplus for various types of specator entertainment venues, Boston, 1909’ or ‘Indicators of sectoral shift in the entertainment industry, US, Britain and France, 1900-1938’. It is daunting but exhilarating stuff. All the time that we were enjoying ourselves, this is what was really going on underneath. Cinema industrialised live entertainment by automating it, standardising it and making it tradeable. This industrialisation was largely demand-led. It was the index case for the industrialisation of other services that would follow. In a process of dynamic product differentiation old formats were not competed away, but often reinvented themselves when new formats arrived: theatre changed after vaudeville, vaudeville changed after cinema, and motion pictures changed after television. The tradeability of motion pictures integrated national entertainment markets into an international one. 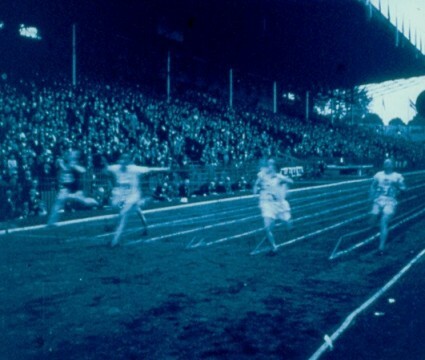 A quality race in which firms escalated their costs sunk into film production and marketing, triggered in the 1910s, led to the emergence of feature films as we know them now. Although the Hollywood studios have won the race, American consumers lost it. Their European counterparts enjoyed a far greater variety of both live and filmed entertaiment, and consumed lots of exotic pictures next to the standard Hollywood fare. Some of this may seem obvious, but that is because we are familiar with the outcomes. The important point is that the success of cinema in the particular form that it took was not a completely foregone conclusion. With only small variables in pricing (of raw stock, of theatre prices), discoveries in technology, competing entertainments or other socio-economic factors, cinema might never have arisen in the form that it did. 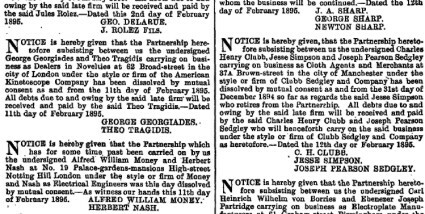 He gives the example of cinema’s “major fellow traveller” the Phonograph, which remained “a premium product for a limited elite”. Contra such arguments, cinema can be seen almost inevitably to have filled a gap. Increased wages, falling hours of work, the rapid growth in urbanisation, a consequent demand for leisure, the opportunities provided by mass electrification, all can be said have created cinema – or the gap that cinema filled – because they had to. The First World War did matter, but in a different way than previously thought: not primarily because of the disruption of European markets, but because the war prevented the European film industry from taking part in the escalation of quality. Now there’s a thesis you might like to argue over – but make sure you understand what endogenous sunk costs are first. So he is right in his bold contention that this is a history with new eyes. Of course film historians have considered the economics of their subject before now, and he acknowledges the work done by David Bordwell, Richard Brown, John Sedgwick, Kristin Thompson and a few others. Yet for the most part film history has been written from a film studies perspective, focussing on style and content, in a form that may please its own community and which has interest to some in art and cultural studies, but which means little to other disciplines. Consequently what looks like an over-analysed subject is one which, rather, has been analysed too greatly in one direction, and far too slightly in others. Why were films made? Why did cinema succeed? Why do we have the entertainment industry that we do? Looking at the money doesn’t answer every question, but it helps answer a fair number of them, and we should have been asking these question (or asking them in a better way) long before now. Bakker knows that he has produced something truly groundbreaking here. 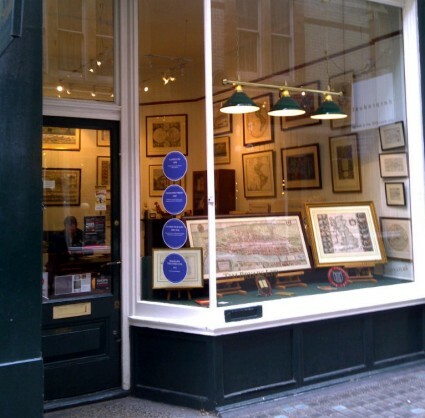 It deserves to have the same impact on film history as Peter Bailey’s Music Hall: The Business of Pleasure has had for music hall or Wray Vamplew’s Pay Up and Play the Game has had for the study of sports history – works that simply open our eyes to the economic realities underpinning their subjects, changing understanding. There is a gentle mocking tone to some of the book, knocking those of us who have produced film histories which have concentrated on technical innovations, inventors or entrepreneurs, as if they alone made things happen. Of course they didn’t, and of course we have always known that there were greater forces that drove the real take-off of the film industry. What we have needed for so long is a guide to those forces, lighting up the territory for all. Now we have it. Here’s a real treasure trove. The Fondation Jérôme Seydoux Pathé is an organisation deciated to collecting documents and artefacts (everything, in effect, except the films) relating to Pathé. Their collection, based in Paris, comprises photographs, posters, business documents, cinematograph machinery, books, periodicals, scripts, brochures, designs… seemingly everything connected with the business empire created by Charles Pathé. Examples of these can be found on their stylish, Flash-driven website, which has background information on each type of collection, and a useful historical timeline from the 1890s to the present day. There is also information on a Pathé filmography which they are producing, building on the herculean work undertaken by Henri Bousquet (who has produced several volumes documenting the output of Pathé in the silent era) and others. The site is, please note, all in French. The Fondation has now produced a database of its holdings (accessible from this link or via the Collections section of the site – click on Base de données). The database provides preliminary information on over 25,000 artefacts, designed to assist any researcher prior to their visiting the Fondation in person. 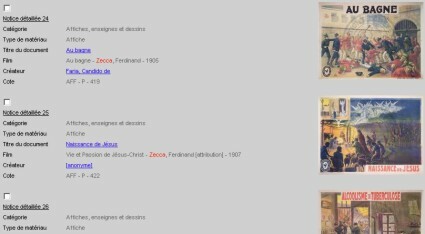 It’s easy to use (again, all in French), and a sample search under Ferdinand Zecca (Charles Pathé’s right-hand man in the early days) yields 219 results. 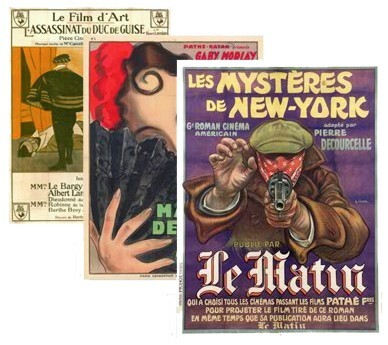 Many of the search results come with an associated image, creating a marvellously rich gallery of Pathé history (just look at all the extraordinary posters for the first Pathé productions if you search under Zecca). Jérôme Seydoux is head of the Pathé and his brother Nicolas Seydoux head of the Gaumont group. Gaumont and Pathé cinemas are now merged (as EuroPalaces), as are the Gaumont-Pathé Archives. You can find the whole complex history the Ketupa site (a useful resource in itself for media ownership history). My thanks to Mariann Sträuli for alerting to me to this site. Update (June 2009): The filmography is now available (1896-1913). It’s high time we had a new addition to the Bioscope Library. Fresh in, and just being stamped and having its classification number assigned is The Law of the Motion Picture Industry (1916), by Gustavus A. Rogers. This is the text of a lecture given by a New York lawyer to the College of the City of New York on 28 November 1916. The legal side of early film may not seem to have that much appeal, but it is a crucial subject to grasp. Laws existing and laws which had to be devised for the purpose not only governed but helped define the new medium. I am, however, of the opinion that whenever it will become important to effectually dispose of the question, that it will be found that there is no difference between the photo-play and the celluloid record which is used upon the phonograph, or the picture postal-card. For, after all, what is sent in commerce is a strip, or strips, of film, contained in rolls of approximately a thousand feet each. 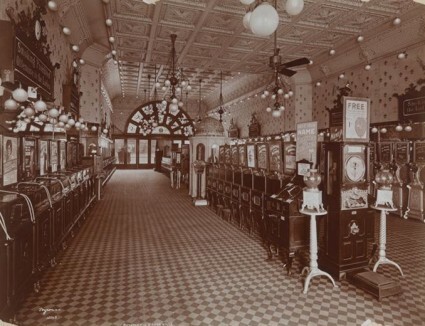 On these are still photographs that are commercially useful when put into a projecting machine and ground out to portray the story on the screen, in the same manner as the phonograph record is put upon the machine for the purpose of reproducing the musical sounds or matter contained on the record. This short document (sixty pages) is therefore useful not just as a survey of the law’s engagement with motion pictures to 1916, but as a thoughtful disquistion on what a motion picture actually is. There is useful discussion of trade marks, copyright law, censorship (with comparisons of the state of things in America, Britain and France), Sunday legislation, and an overview of the laws regarding motion pictures in various European countries. It’s available from the Internet Archive in DjVu (1.6MB), PDF (5MB), b/w PDF (1.5MB) and TXT (122KB) formats.